With the help of first timer Alex about twelve people showed up this week. Not a bad attendance but far from the dizzying heights of twenty that I dream of. I started off playing Trains which has kinda become my modus operandi recently. This time we had the Tourist Train in play which awards an extra victory point every time it's played but is only worth a single unit of generic game currency. I bought a couple along with everyone else. I think Demetri bought most and ended up winning with his CopyCat Rails company. 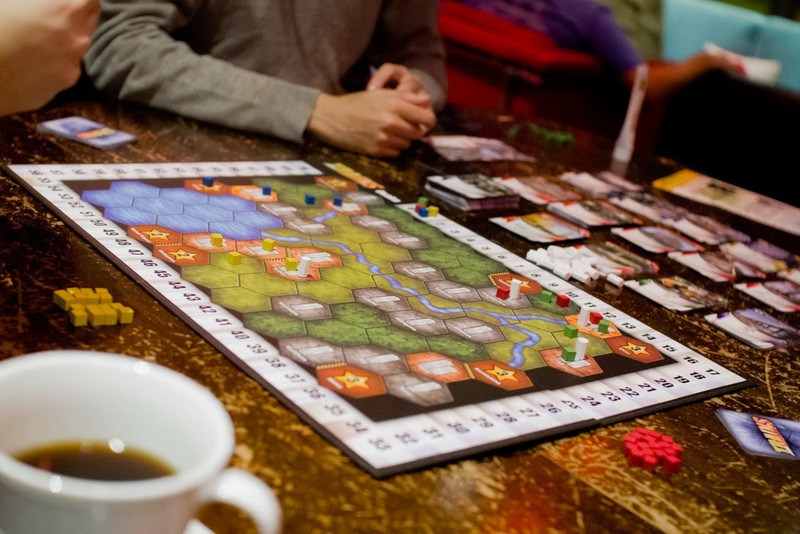 I stayed on for another game planning on going hard on a Tourist Train strategy to see how that worked out. However Tourist Trains cost 4 and I kept drawing 5 which meant I couldn't resist buying Holiday Timetables. I was soon cycling through my deck in two or three turns but this wasn't enough. Again I'd only bought a couple of Holiday Trains. Joni had bought a few more more and ended up beating me by a single point. While I was playing Trains the others were playing Bang! They got in a couple of games with the law winning both times. I hear rumors all of the outlaws were killed without any of the law being taken out at all. After Bang! 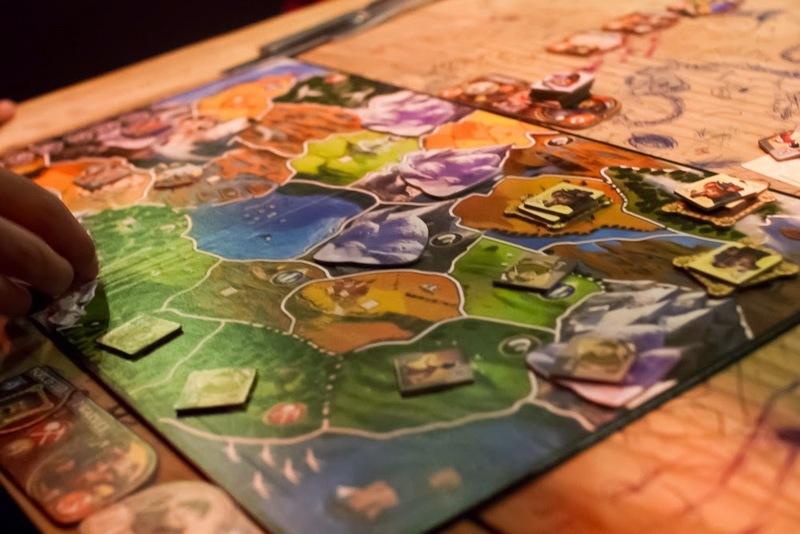 the group split into two with Dan playing Small World with this new expansion Be Not Afraid. The rest played an assortment of small games; Fluxx, Love Letter, Zombie Dice and Carcassonne. After Small World was done I played a three way game of Star Realms with Dan and Steve with those who were left played Coup. Star Realms doesn't really thrive with three people as everyone just tends to attack the person with the most health. This means it doesn't really matter how good your strategy is, all players will end up with around the same health and it's just a matter of luck as to who stays in last. With Steve out first it came down to me and Dan and I took him out with only a handful of health left to my name.